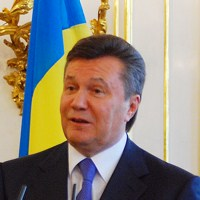 Since assuming the presidency in early 2010, Victor Yanukovych has tried to pursue a balance between strengthening Ukraine’s integration with Europe and maintaining a positive relationship with Russia. He has also sought to avoid having to choose between the European Union and Moscow. On one issue, however, he could not avoid a choice: Should Ukraine conclude an association agreement, including a deep and comprehensive free trade arrangement, with the European Union, or should it instead join a customs union with Russia, Belarus and Kazakhstan?